武立勋. 高校家庭经济困难学生资助政策优化研究——基于公共政策评估理论视角[J]. 北京航空航天大学学报(社会科学版), 2018, 31(2): 99-107. WU Lixun. Optimization Research on Financial Aid System for University Students with Financial Difficulties Based on the Theory of Public Policy Evaluation[J]. Journal of Beijing University of Aeronautics and Astronautics Social Sciences Edition, 2018, 31(2): 99-107. Abstract: Based on William N. Dunne's public policy evaluation standard, this paper proposes the framework of the financial aid policy evaluation standards system for college students with financial difficulties, conducts a questionnaire survey on undergraduates in 10 different types of colleges and universities in Beijing, and improves as well as validates the hypothesis model of financial aid policy evaluation factors relationship. The results show that it is far from enough to promote the policy effects only by enlarging coverage and increasing funding. Not only the direct policy output of the financial aid policy benefits relate positively to the responsiveness of students with financial difficulties to the policy, but the impact of direct policy (on the physical and mental development of students with financial difficulties) is also the key to determining the responsiveness of the financial aid policy. The adequacy and fairness of the policy can also improve satisfaction by adjusting the impact of the policy benefits on responsiveness. 沈红, 赵永辉. 美国高校学生资助政策变革及其效应[J]. 高等工程教育研究, 2014(4): 135-140. 薛浩, 陈万明. 我国高校贫困生资助政策的演进与完善[J]. 高等教育研究, 2012(2): 87-90. 余鸣娇, 徐吉鹏. 新资助政策体系对高校贫困生教育援助效果的评估研究[J]. 高教探索, 2012(3): 128-131. 金昕. 社会主义核心价值体系融入高校家庭经济困难学生资助工作探析[J]. 思想理论教育导刊, 2011(3): 88-91. 谢明. 政策分析的主要类型及其评述[J]. 北京行政学院学报, 2012(3): 45-48. 威廉·邓恩. 公共政策分析导论[M]. 谢明, 伏燕, 朱雪宁, 译. 北京: 中国人民大学出版社, 2002: 437. 莫世亮. 高校贫困生资助政策执行满意度研究——基于浙江省14所高校的调查[J]. 浙江师范大学学报(社会科学版), 2014(3): 106-110. 托马斯·戴伊. 理解公共政策[M]. 谢明, 译. 北京: 中国人民大学出版社, 2011: 285. 吴丽仙. 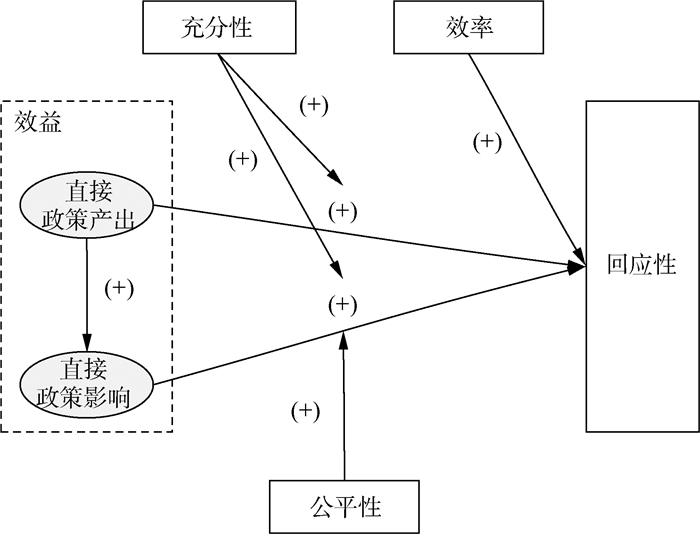 建立精准学生资助工作机制研究[J]. 教育评论, 2015(9): 46-49.